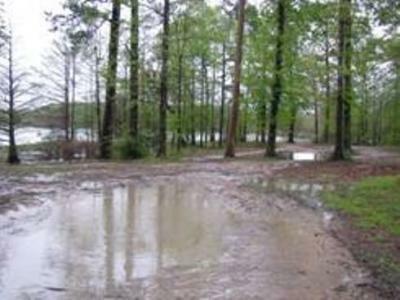 Cow Bayou ATV trail is situated on 228 acres of mixed pine and hardwood timber with 1.5 miles of shoreline. The park is located on the Jolly Rogers Road off of La Hwy 191 at the Sabine and DeSoto parish line. This park is designed for the all terrain vehicle enthusiast that likes a challenge. With 7 miles of marked ATV trails that snake through forest hills and gullies with a challenging mud hole at every turn. At the entrance of the park is a layout of the ATV trails. The park is free of charge to the public, although no facilities are available. So, pack your lunch, and come ride at the Cow Bayou ATV trail. From the junction of US Highway 84 and Louisiana Highway 191 (Logansport, La): Go South on La 191 for 14.4 miles to the junction of La 191 and La 481 / Coker Worsham Road. From the junction of Louisiana Highway 191 and Louisiana Highway 174 / Rec Site 4 Road (Converse Bay Park): Go North on La 191 for 5.7 miles to the junction of La 191 and La 481 / Coker Worsham Road. At Coker Worsham Road/La 481: Turn West onto Coker Worsham Road. Go 2.1 miles on Coker Worsham Road and turn right onto Locus Road (dirt roads from here on back). Go 1.1 miles on Locus Road and turn left (no other option, really). Go about 1.5 miles and you are there; you'll know because there are a couple of clearings. If the spillway gates are Open, except for downstream flows, the road, and recreation area below the spillway, will be CLOSED!